Big Sean joins his GOOD Music labelmate on a new version of his single. Desiigner has been delivering singles at a steady rate over the course of 2017. His most recent release was "Liife," a Gucci Mane collaboration that found him delivering a melodic hook and some emotionally-charged rhymes. The remix to the song, which features the Brookly rapper's GOOD Music labelmate Big Sean has now surfaced. Sean is subbed in right where Gucci appeared, using some subtle auto-tune on a half-sung verse. 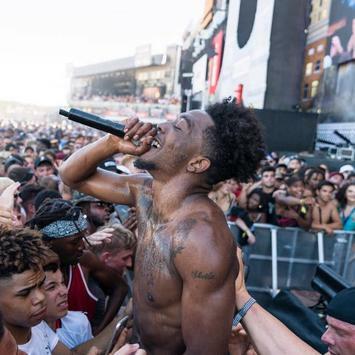 Desiigner's debut album The Life Of Desiigner is expected to be released later this year. He released his first mixtape New English last June. Desiigner recently collaborated with Wiz Khalifa on the Pittsburgh rapper's track "X 4 X."